We sometimes feel that the chutney we make at home is not as tasty as the one we get in restaurants. 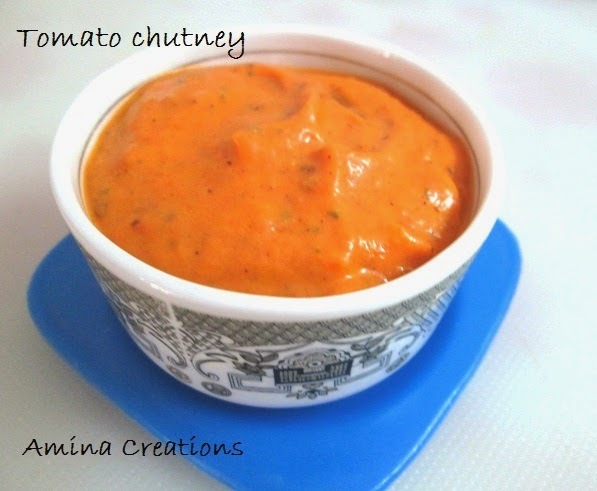 So I am sharing my mother's tomato chutney recipe here which tastes just like the one we get in restaurants without any compromise on our health. Add onions, curry leaves, ginger and dry red chillies and sauté till the onions turn golden. Then add chopped tomatoes and salt and cook till they turn soft and oil starts separating. Allow it to cool down and grind to a paste. Serve with idli, dosa, upma or pongal. For more chutney recipes, you can check out this page.